Nathan joined Retirement Advisory Group in 2001, just before 09/11. Needless to say, it was a difficult time in general and specifically for the financial industry. Through that, and the 2008/2009 recession, he has come to appreciate the value a good team can bring to help clients through difficult financial times. Nathan works closely with each of the partners of Retirement Advisory Group, assisting them in preparing for client meetings through research and reporting. 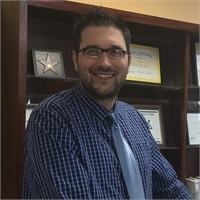 Nathan also handles paperwork processing and transactions for the team, which has fine-tuned his ability to quickly and efficiently address client inquiries. Nathan lives in Hutchinson, MN and is raising his three beautiful daughters who are the passion and pride of his life. In his free time, he enjoys traveling with his girls, camping, hiking, and exploring new places and things. They love checking off landmarks and have a goal of visiting all 50 states! He also enjoys sports and has started a quest of visiting all the MLB ballparks with his daughters.